It’s time to move faster than a Weeping Angel – our room block at the hotel is nearly full! Staying at our convention hotel has a huge impact on our convention and on YOUR experience. Each night you stay at the hotel supports our use of the hotel’s function space and makes sure you don’t miss out on a second of fun. Reservations at the hotel through our room block are also offered at a discounted rate starting at $107/night. Were you interested in staying at our convention hotel? Find more information at our Hotel page or go to the Hilton website and use group code DRWHO. We are returning for the fourth year in a row to the Hilton MSP Airport/Mall of America for our convention, and the best way to make sure you won’t miss one bit of fun is by staying at the hotel. 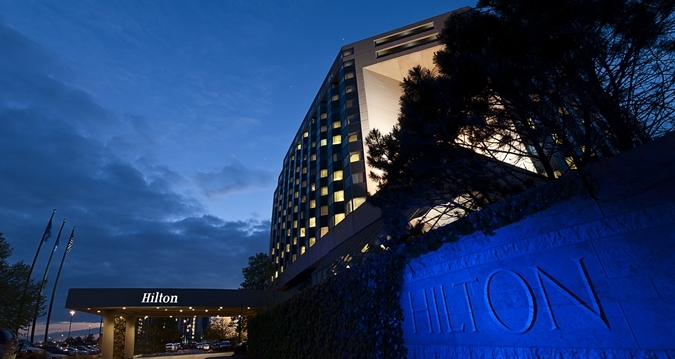 Rooms at the Hilton are now available to book at our discounted event price, with prices starting at just $107/night. More information can be found at our Hotel page above, or you can follow this link to go directly to the reservation page. Make sure that “CONSOLE ROOM 2017” is selected under the Special Accounts and Rates section, or add Group Code “DRWHO”.